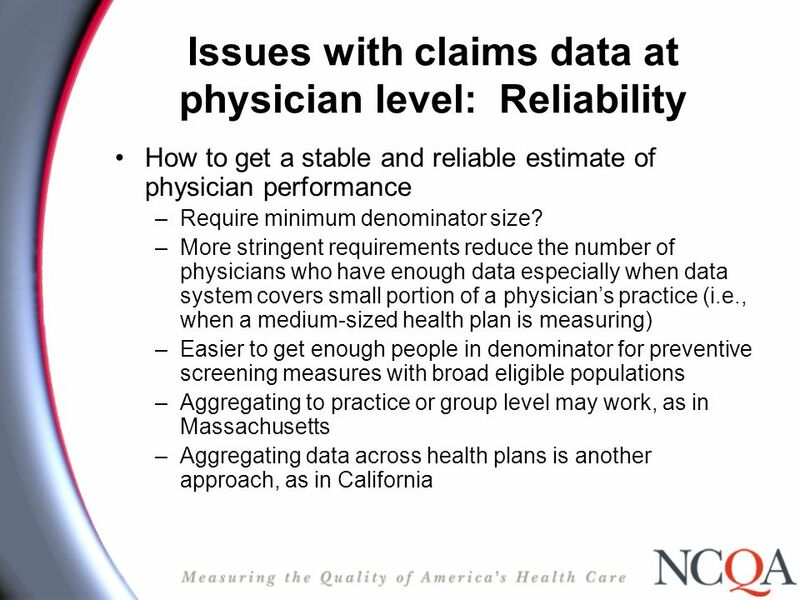 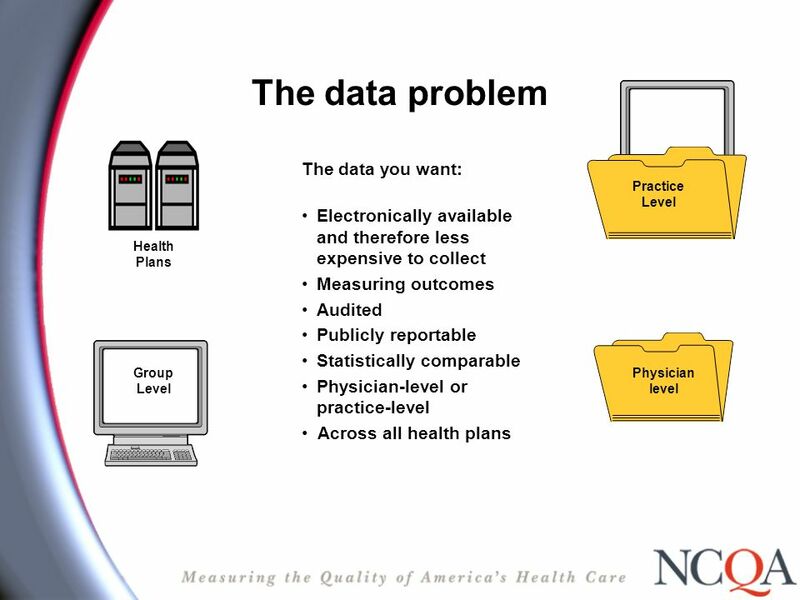 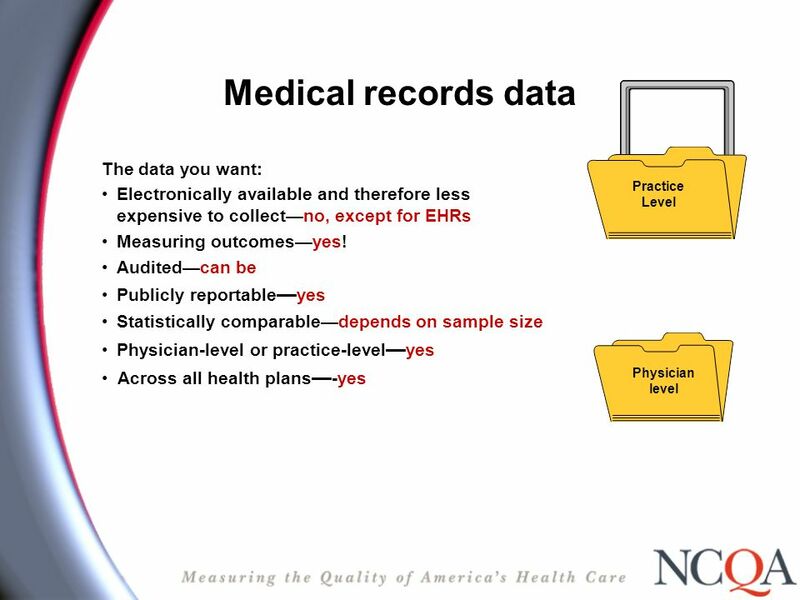 Pay for Performance: Data Collection and Reporting Results Kathryn Fristensky Director, Product Development PFP Boot Camp for Physicians and Physician. 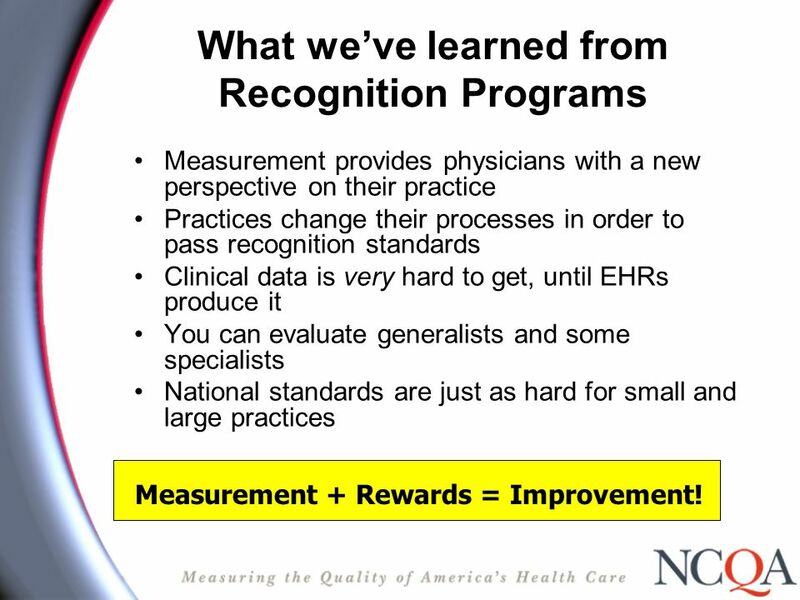 15 What weve learned from Recognition Programs Measurement provides physicians with a new perspective on their practice Practices change their processes in order to pass recognition standards Clinical data is very hard to get, until EHRs produce it You can evaluate generalists and some specialists National standards are just as hard for small and large practices Measurement + Rewards = Improvement! 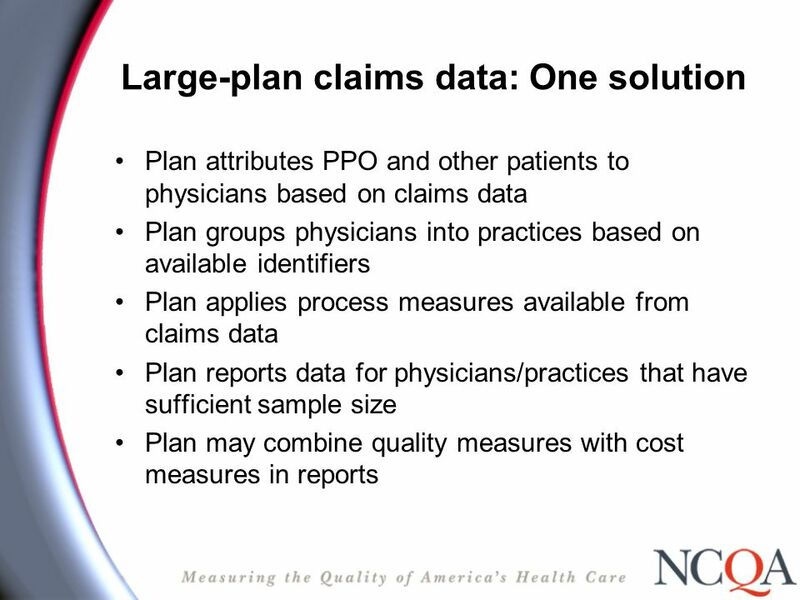 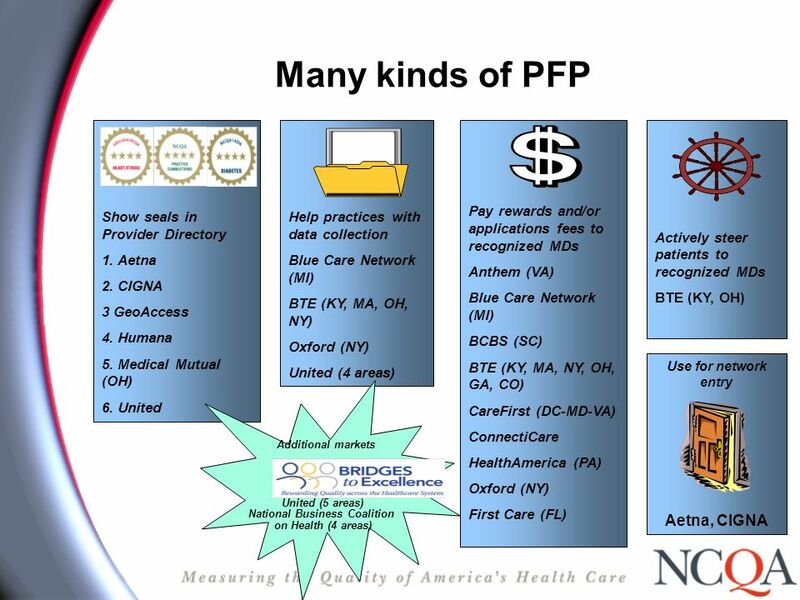 Download ppt "Pay for Performance: Data Collection and Reporting Results Kathryn Fristensky Director, Product Development PFP Boot Camp for Physicians and Physician." 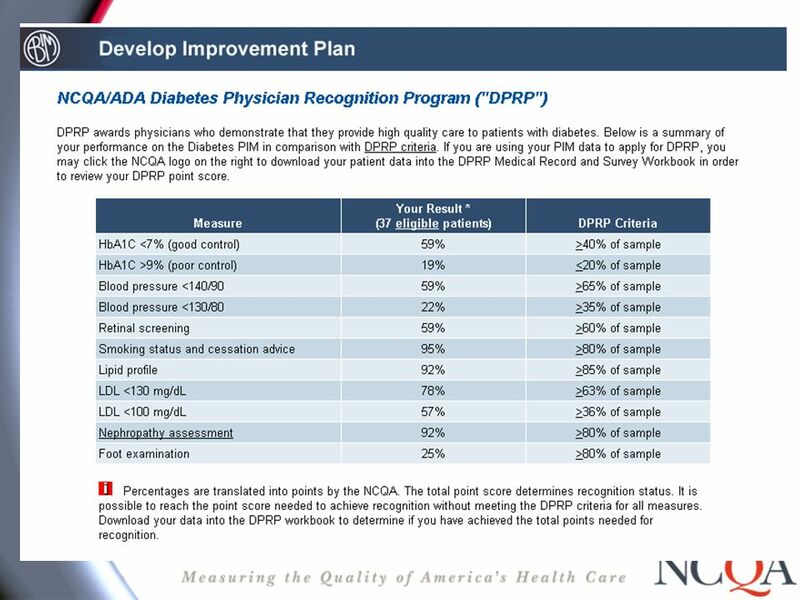 Open Enrollment for 2012 Benefits AACPSAACPSAACPSAACPS Introduction to the BlueChoice HMO Plan CareFirst BlueCross BlueShield is an independent licensee. 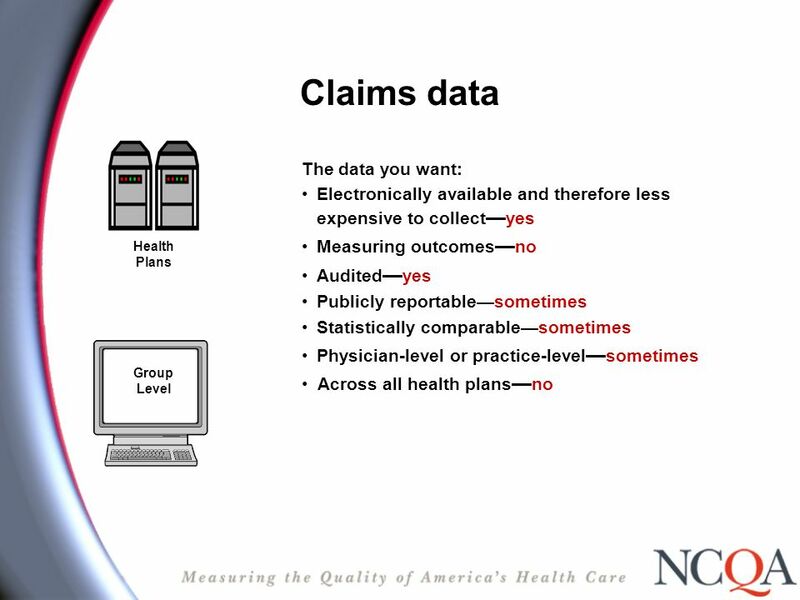 Patient-Centered Medical Home & Multi-Payer Demo Training Webinar # 4 David Halpern, MD, MPH July 6th, 2011. 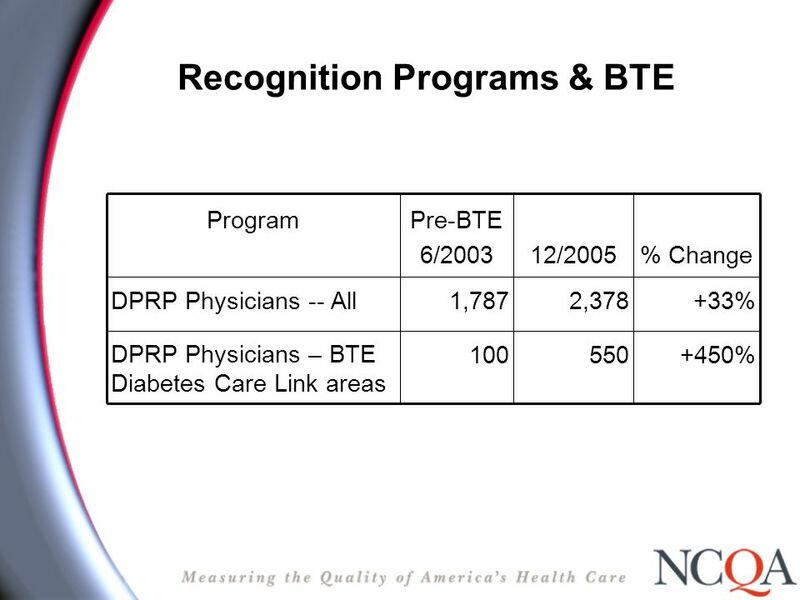 Preparing for NCQA Diabetes Physician Recognition 2007 Affiliate Conference Call April 19, 2007 Elaine Sullivan, MS, RN, CDE. 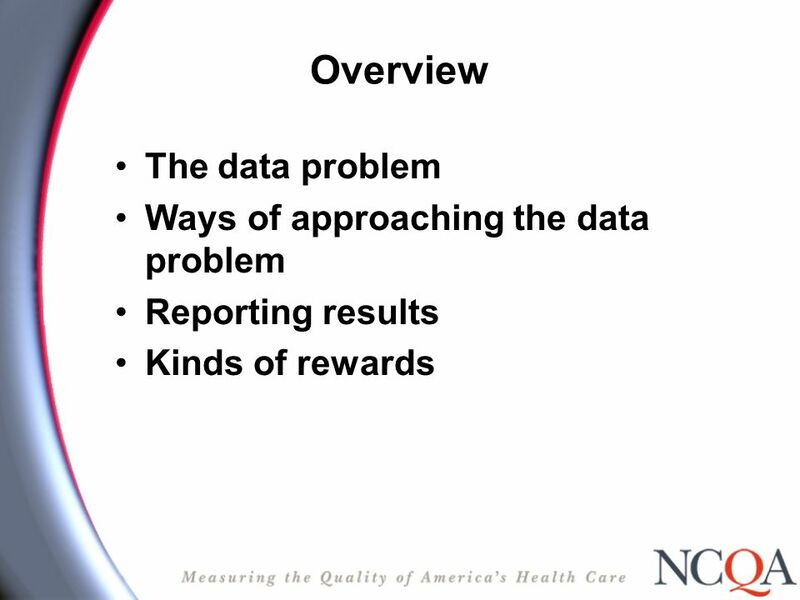 Heart/Stroke Recognition Program Workshop August 2009. 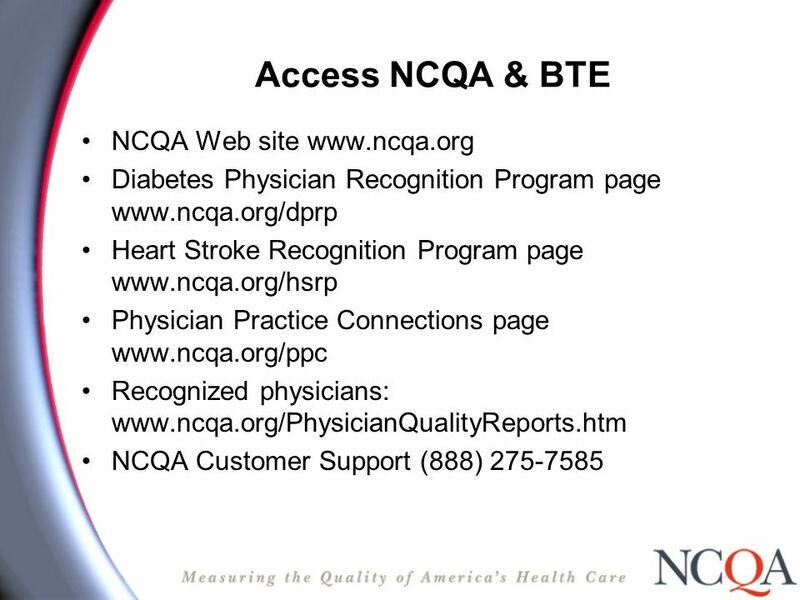 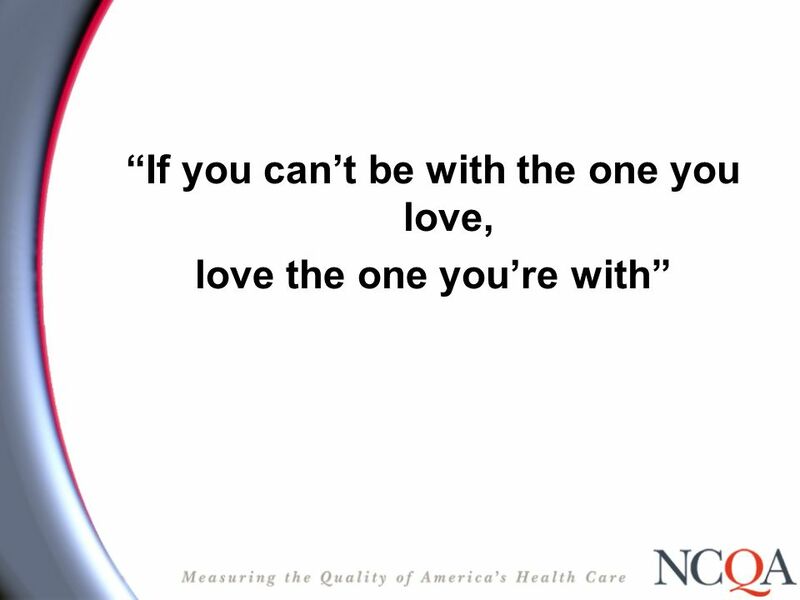 Standard 3 Plan and Manage Care NCQA Recognition for Patient-Centered Medical Home 2011 Standards © Qualidigm. 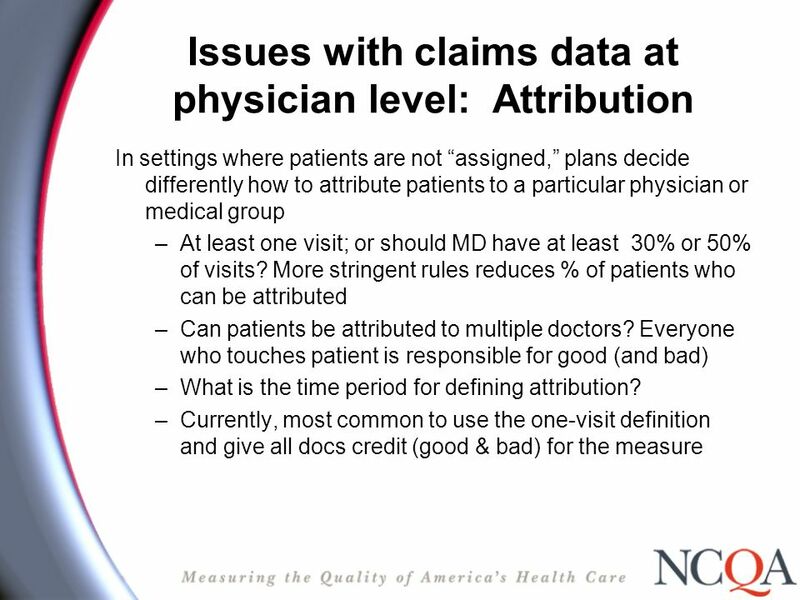 Patient-Centered Medical Home & Multi-Payer Demo Training Webinar # 8 David Halpern, MD, MPH August 31st, 2011. 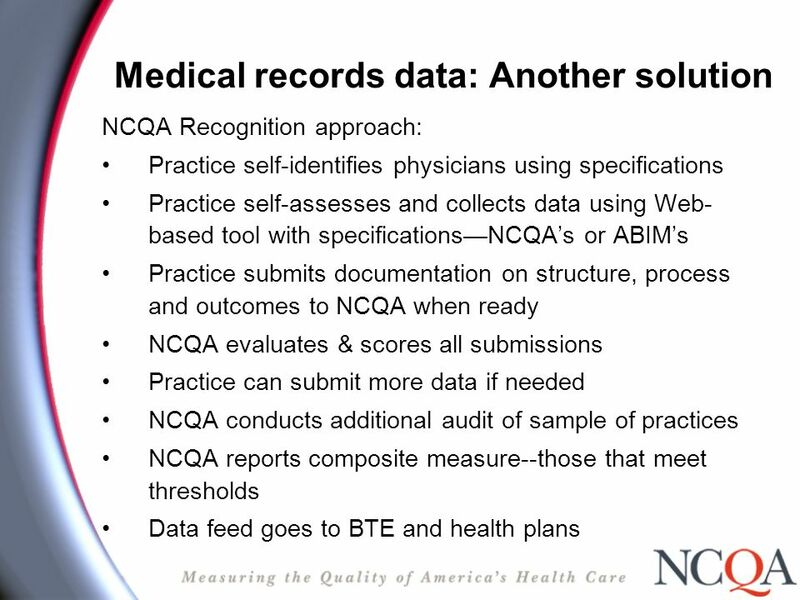 Standard 1 Enhance Access and Continuity NCQA Recognition for Patient-Centered Medical Home 2011 Standards © Qualidigm. 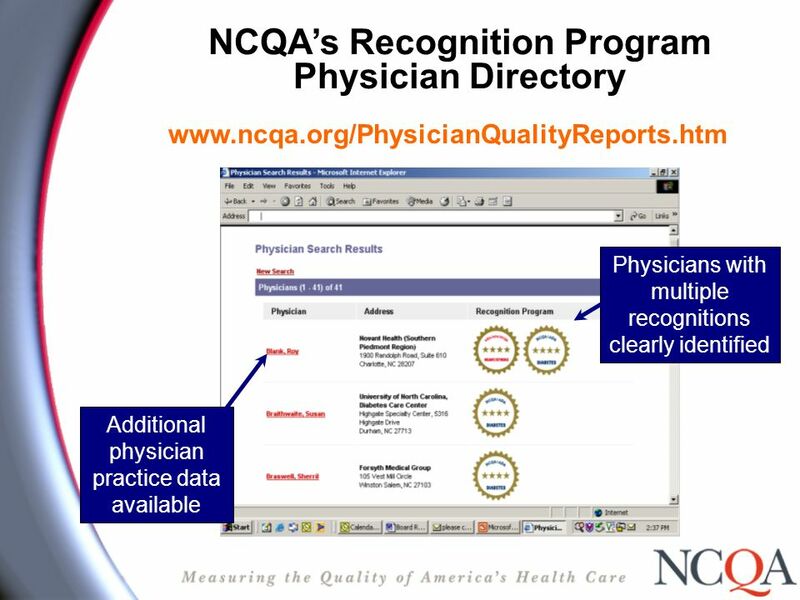 All materials © 2014, National Committee for Quality Assurance The Recognition Process Getting OnBoard Part 3 After: Keep It.